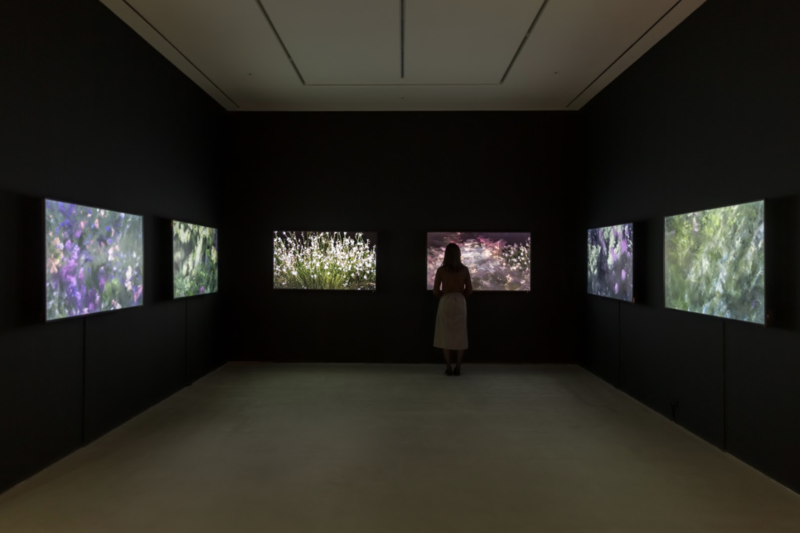 Quayola’s first comprehensive exhibition in Asia, which is atArt Space at Paradise City, Incheon, Korea until 24 February 2019, reimagines the past and rediscovers nature through the perspectives of machine. The past is revisited in relationship with the present and future – exploring asymmetry – that completely excludes humans’ subjective views and leaves machine processed objective ideas. Through these processes, classical art forms such as Hellenistic sculptures, old master paintings, and Baroque architecture are detached from iconographical semantics of the past to be regenerated into digital abstract works. In addition, familiar visual tropes of nature are transformed into a new artificial landscape engendered by machinery. The exhibition, curated by Doo Eun Choi, consists of six sections with multi-genre artworks, including about 50 pieces of digital print, video, sculpture, and robotic installation. 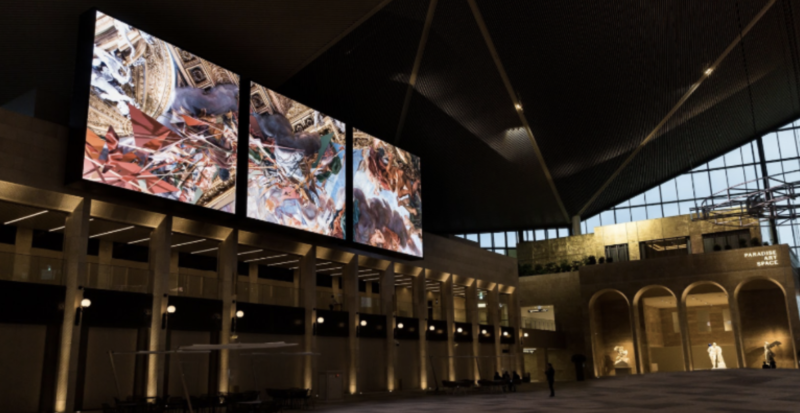 The breadth of the exhibit presents major works of Quayola not only inside Art Space, but also extends into the Art Garden with large-scale projection mapping and 3 channel-screenings at the Art Plaza. Iconographies, Strata, and Sculpture Factory are projects that analyse classical paintings, sculptures, and architecture through complicated computer algorithms, recreating contemporary abstract works by severing religious and mythical scenes of the past. Remains, Jardins d’Été and Pleasant Places are his ongoing projects that reexamine familiar visual languages of nature and traditional compositions of landscape paintings. Through complicated digital rendering, new digital landscapes emerge from actual natural landscapes that are captured in high resolution by high-precision laser scanners and cameras. Diverse motifs come in to play for each work by recreating a new visual literacy; Remains observes the En plein air in the late 19th century; Jardins d’Été co-opts imagery from the French impressionism of Claude Monet; and Pleasant Places evokes the 17th century Dutch landscape paintings, which are considered to be the origin of landscape paintings. Ultimately, the works become hybrid landscapes – neither real nor virtual – transcending the boundaries of the figurative and abstract domains. Niio is the premium discovery, display and management platform for new media art, embraced by leading artists, galleries, museums, curators, collectors and arts organisations from around the world, who are using Niio’s proprietary technology tools to securely safeguard, showcase, transfer, monetise and display thousands of their high-quality works on any type of “digital canvas. Paradise Art Space recently opened with works by world-class artists from East and West including Jeff Koons, Damien Hirst, Kim Ho Deuk, and Lee Bae. Meet the past, present and future of contemporary art from all around the world at this exhibition directed by director Chung, Goo-ho.Paradise City’s art exhibition gallery showcasing a new level of cultural experience and works from wide-ranging genres by prominent Korean and global artists.